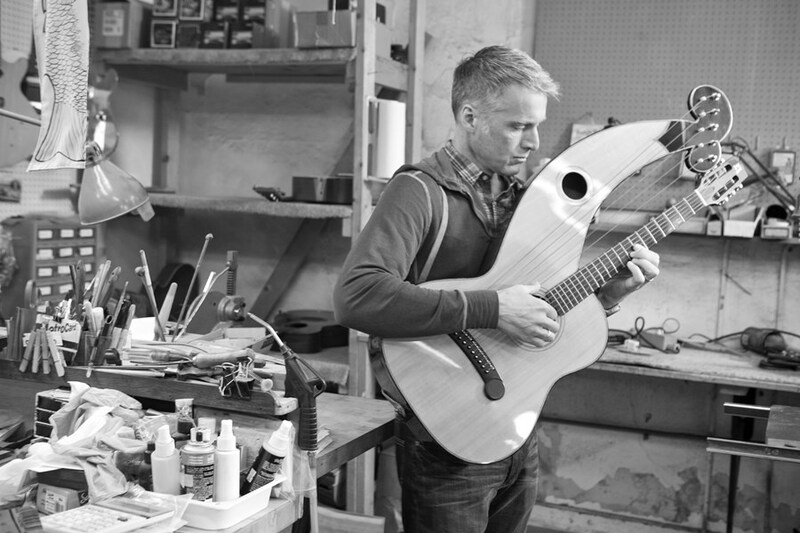 Intriguing instruments - stunning music. 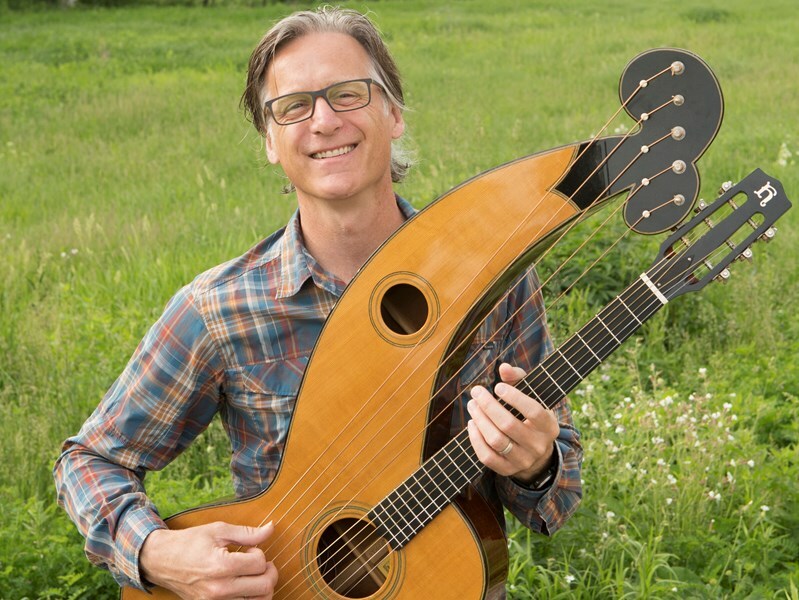 Dan Schwartz is a Minneapolis musician who makes soulful music on the harp guitar, lap steel and acoustic guitar. Dan has written and released ten CDs and has been featured on several internationally released acoustic guitar compilations including Narada Records Masters of Acoustic Guitar. His recordings have earned him a nomination for guitarists of the year (Minnesota Music Academy) and local Folk/roots album of the year (Mpls. St Paul Magazine). Dan is an excellent guitarist and singer. He performed some of my father's favorite music at his memorial and it was exactly what we hoped it would be. Dan is a wonderful Acoustic Guitar player I highly recommend him for any event. We will certainly have him back again. 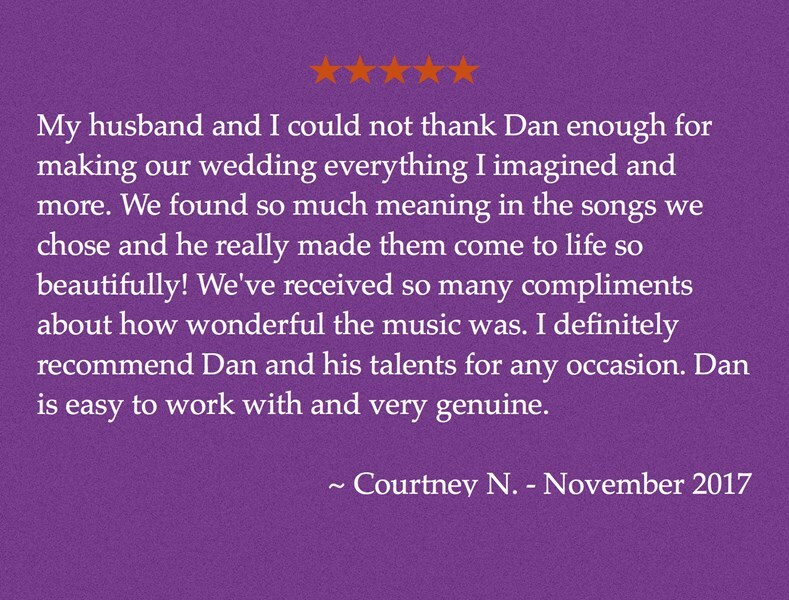 Dan was absolutely wonderful to work with! Everything was so easy. I would recommend him to anyone! Couldn't be better. I would hire him again in a minute! Dan was amazing. We asked for some special songs and I could not have been happier with his performance. It was so great. Definitely would reach out to him again! He kept touching base to make sure he knew what the plan was and exactly what he wanted and gave us several ways to contact him, which eased my mind. Very happy with our decision to hire him for our wedding ceremony! Really enjoyed Dan and will for sure hire him for our next event! Dan was absolutely amazing! He has a beautiful voice and played whatever we asked. He also offered suggestions based on his experience. We would absolutely hire him again and would recommended to everyone! We had so many people ask us where we found him! He was extremely accommodating, skilled and personable! I am brand new to Gigmasters - be one of the first 3 to book me and 50%! Please note Dan Schwartz - Acoustic Guitar will also travel to Saint Paul, Arden Hills, Hopkins, Mendota, Plymouth, Bloomington, Mendota Heights, Minnetonka, Eden Prairie, Maple Grove, Minnetonka Beach, Orono, Osseo, South Saint Paul, Wayzata, Circle Pines, Inver Grove Heights, Champlin, Burnsville, Chanhassen, Crystal Bay, Long Lake, Newport, Savage, Willernie, Excelsior, Hamel, Saint Paul Park, Dayton, Hugo.